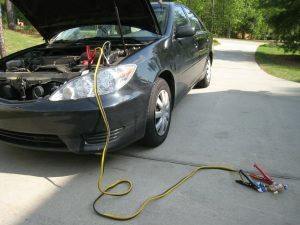 Need Low Cost Jump Start Service in Camarillo and Thousand Oaks Area? Are you having issues starting up your vehicle? The main reason why this can happen is due to a low battery or dead battery. Normally your battery will recharge itself but when a light or accessory is left on it can drain the battery. 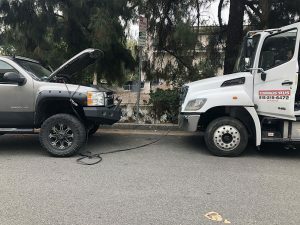 There are other reasons why your car may have a dead battery, such a short in the wire or connection harness. There is also the possibility it is because of a USB port still plugged into the vehicle depending on which kind of car. Give us a call for affordable jump start service within Oxnard, Ventura, Malibu, Thousand Oaks, or the Camarillo area. We're available anytime to send out our closest roadside assistance tech or tow truck. You can bet our towing and roadside technicians use only the latest equipment for jump starts. Before the technician begins the jump start he'll first charge the battery and let you know how long the charge time will be. Usually just a jump start is required but to be certain they will charge it first. Give them about 5-10 minutes worth of charging before they start the jump. Keep note that you'll have to leave the vehicle on and drive somewhere you can either replace the battery or park safely. Anytime you need affordable jump start service within Camarillo and the Oxnard area give us a call 24/7.